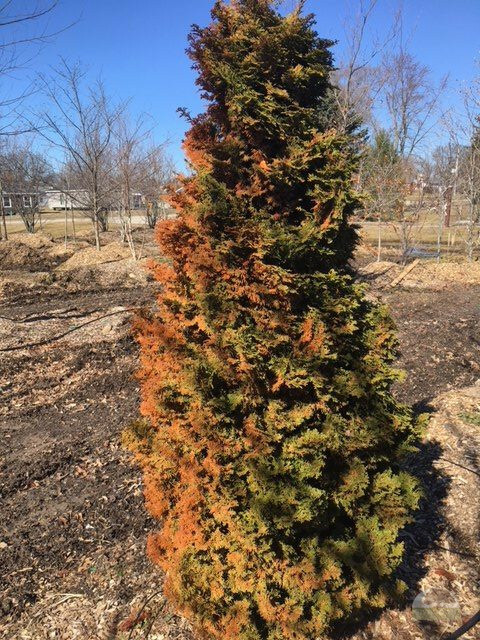 The winter of 2017-2018 in West Michigan has been hard on some evergreen shrubs and trees. Even though warm temperatures feel great in the middle of a winter, it can be hard on landscape plants. Varying temperatures from cold and windy to warm and balmy can stress plants that should remain dormant throughout the winter. 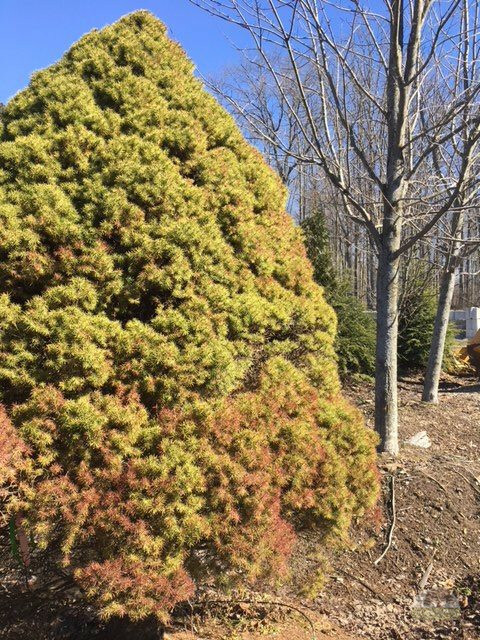 Salt spray or runoff can also affect evergreen shrubs and trees in the same way. With warming temperatures, plant leaves will transpire and lose moisture. The roots would typically take up more water and transport it to the leaves. Unfortunately, in the winter water can be in the form of ice in the ground, preventing the plant from accessing the water it needs. This can result in the leaves or needles drying out and turning brown. Commonly referred to as ‘winter burn’ on broadleaf and evergreen plants, it can stress the plant and is similar to drought conditions. With winter burn the browning will be most noticeable on a south or southwest exposure where the sun is the warmest. The side of the plant that catches the most wind can be susceptible to winter browning, also. Evergreens and broadleaf evergreens may still be a nice green on the unaffected side. What should the homeowner do? Be patient and observe the plant to see if it begins to show green growth when it breaks dormancy in the spring. Oftentimes, plants will recover with a little time. Occasionally the plant may be so severely damaged that it may need to be replaced, but this is more of a rarity. For instance, healthy boxwoods that are pruned will typically recover just fine and by summer it will not even be noticeable. Other slower growing evergreens may need more time to recover. If a small piece of bark is scraped on branch tips and it is green underneath, the evergreen will probably grow new shoots. Some light pruning may be necessary to cut the tips back to green wood, but wait until mid-spring. It may be necessary to cut out a particularly brown limb entirely. By comparison, if a shade tree lost a limb due to a windstorm the tree typically is not replaced unless damage is severe. The damaged limb is trimmed out and the tree is allowed to grow. Evergreen shrubs and broadleaves can be treated the same way. 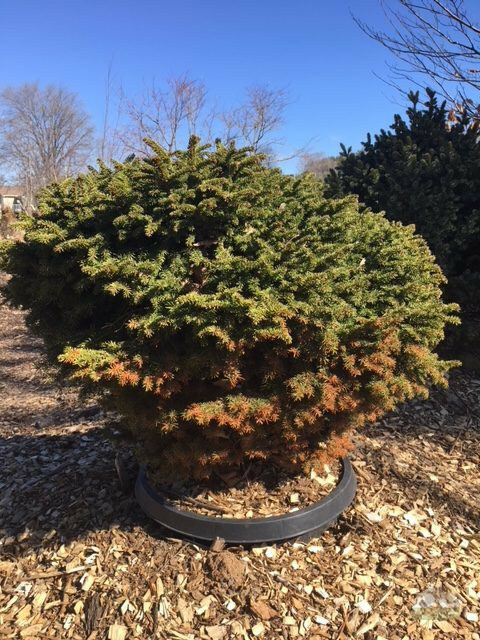 To help prevent future winter damage to evergreen shrubs and trees, select a plant that is well suited for your cold hardy zone. If you wish to have a plant that is marginal for your zone, plant it in a sheltered area away from salt spray, hot sun and dry winds. Placing a burlap fence around the plant can offer wind protection. Do not fertilize with a quick-release high nitrogen fertilizer in the fall. Plants need time to ‘harden off’ shoot tips before winter. Cover plant roots with 2 to 4 inches of mulch to help retain moisture in the soil. Make sure the plants have been watered well before winter dormancy. Do not prune evergreens in late summer or early fall as this may encourage new growth late in the season. It may sound like a lot to do, but oftentimes plants simply need time to grow and thrive.